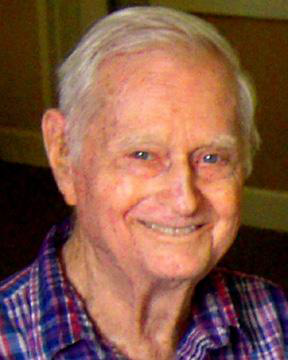 Paul Rafford Jr., the “Elder Statesman” of Earhart research and the last of the original members of Bill Prymak’s Amelia Earhart Society of Researchers, passed away on Dec. 10 in a hospice in Rockledge, Fla., at 97. Michael Betteridge, Paul’s nephew and general manager of WTHU AM 1450, a talk radio station in Thurmont, Md., said his uncle passed peacefully with his daughter, Lynn, at his side. “We lost a great man on that day,” Betteridge said in an email. Earhart fans will recall Paul’s name from Vincent V. Loomis’ 1985 book, Amelia Earhart: The Final Story (Random House), wherein he presented his then-current ideas about the Electra’s radio propagation capabilities and Amelia’s strange decisions during the final flight. In 2006, Paul’s book, Amelia Earhart’s Radio, was published by the Paragon Agency, and though it wasn’t a commercial success, it remains a treasure trove of invaluable information unavailable anywhere else. Paul Rafford Jr., circa early 1940s, who worked at Pan American Airways as a flight radio officer from 1940 to 1946, is among the foremost experts on radio transmission capabilities during the late 1930s. He wrote more than a dozen unique, scholarly articles for the Amelia Earhart Society Newsletter between 1989 and 2000. Regular readers of this blog are familiar with Paul’s fascinating and inventive work. In the past few years, I’ve written three lengthy pieces that brought new focus on his important contributions to the modern search for Amelia Earhart: “The Case for the Earhart Miami Plane Change”: Another unique Rafford gift to Earhart saga; Rafford’s “Earhart Deception” presents intriguing possibilities; and Rafford’s “Enigma” brings true mystery into focus: What was Earhart really doing in final hours? Paul was a regular contributor to the Amelia Earhart Society Newsletter between 1989 and 2000, expounding his theories about radio deceptions and plane switches, some of the most imaginative and compelling possibilities ever advanced to explain what could have happened during those final hours of July 2, 1937, before and after Amelia’s last officially recognized message was heard at 8:44 a.m. Howland Island Time. He even wrote two pieces with the nearly the same title, “The Amelia Earhart Radio Enigma” in 1997, and “The Earhart Radio Enigma,” in 2000, as if to emphasize the major problems and unanswered questions that still stumped him – and continue to baffle Earhart researchers. Paul began his aviation career with Pan American Airways as a flight radio officer in 1940, flying with Pan Am until 1946. He worked with crew members who had flown with Fred Noonan, and talked with technicians who had worked on Amelia Earhart’s Electra 10E. After a promotion with Pan Am, he continued to fly as a technical consultant before transferring to the U.S. Manned Spaceflight Program in 1963. During the early space shots he was a Pan Am project engineer in communications services at Patrick Air Force Base, and joined the team that put man on the moon. He retired from NASA in 1988. A recent photo of Paul Rafford Jr., the “Elder Statesman” of Earhart researchers. 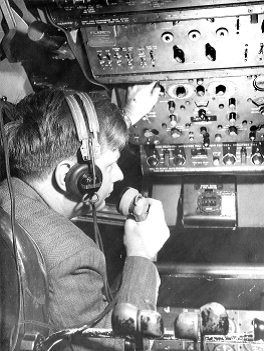 As a Pan Am radio flight officer from 1940 to 1946, Rafford was uniquely qualified as an expert in Earhart-era radio capabilities. With Paul Rafford’s passing, we can now mark the end of the “Greatest Generation” of Earhart researchers, an exclusive club whose members include Paul Briand Jr., Fred Goerner, Vincent V. Loomis, Bill Prymak, Thomas E. Devine, Almon Gray, Joe Gervais, Joe Klaas, Rollin Reineck, Don Kothera and of course, Paul himself. If there were an Earhart Research Hall of Fame, Paul Rafford Jr. would have been inducted long ago on the first ballot. He was a fine and decent man, admired and respected by his peers, and loved by many. He made many significant contributions to the Earhart saga, and he will be missed. May he Rest in Peace. Posted in: Uncategorized	| Tagged: Amelia Earhart Society, Amelia Earhart Society Newsletters, Amelia Earhart's Radio, Bill Prymak, Paul Rafford Jr.
RIP to all of them- we owe a great deal. *Great Tribute of Paul Rafford Jr. and his magnificent work. Paul’s research with the transmissions, Canton island’s radio station & personnel, Amelia’s distrust of Fred’s navigation, bearing on the Jaluit station, low on fuel, and finally Amelia’s decision, for a wheels down, landing in the Marshall’s. Afterwards Paul provided more witness evidence, supporting the idea, that Earhart & Noonan departed Kwajalein, bound for Saipan in a land based, Japanese aircraft. Paul’s work is astonishing, as was Amelia’s flight across the Pacific. He carefully calculated her positions, motives and reasons for landing in the Marshall’s. We are *indebted to Paul for every ounce of energy he possessed, helping us to understand where the Electra flew and why it’s left us so curious to this day. Thank You Paul for your lifetime of work & research – GOD BLESS YOU. Sad, sad, sad. My sweet father died unexpectedly on January 1st this year. Ever since, every death announced on TV and radio, among friends, etc., just stuns me – SO many passed away born in the 1930s and a bit earlier. Yes, “to be expected” due to the age, but still. A loss, a gaping hole with no promise of filling it. Losing the unique researchers and eyewitnesses to history and the Earhart story completely closes the vault door on one aspect of further research: garnering contemporary perspectives. How frustrating it must have felt to many of them, to have been there, in 1937-45, in the Pacific Theater, many with a personal brush with the evidence, and have to read about and listen to all the harebrained theories and claims of proof, etc. As I have often told myself this past year, at least Dad can get the answers to many questions now that he is on the other side. What an amazing soiree must be occurring there – finally all those questions will be answered, by Amelia, Fred, FDR, etc. – a cast of celebrities!